Every block of stone, Michelangelo once said, contains a statue inside. It is the task of the sculptor to discover that statue and to reveal it by scraping away every superfluous layer of stone until its final form takes shape. Many traditional manufacturing processes—trimming wood on a lathe, cutting sheet metal to form a car body—work in a similar way: by removing material. But in recent years, another concept has gained momentum in industry and in home workshops: additive manufacturing, or what the general public often thinks of as 3D printing. Additive manufacturing falls under the broader umbrella of advanced manufacturing, which describes the application of new technology—often at the nanoscale—to make better products, more efficiently, with improved materials and processes. The potential for innovation in advanced and additive manufacturing is enormous, say Lehigh researchers. 3D printing burst into the public imagination in recent years as inexpensive machines like MakerBots became available at prices lower than some home computers. But the technology to create objects by depositing successive layers of material—once known as rapid prototyping or rapid tooling—has been used for years in automotive design and other industrial applications. Additive and advanced manufacturing are built on foundations that are longstanding Lehigh strengths, one of which is the science of joining materials, or welding. In advanced manufacturing, says DuPont, new alloys and new parts are welded together to make products. The materials are subjected to entirely different thermal conditions—wide-ranging temperatures, fast or slow heating and cooling—from the conditions used during a part’s manufacture. “The atomic characteristics and microstructure—which are carefully controlled by the alloy producer—change considerably,” DuPont says. These changes can cause parts to fail, especially during applications involving extreme conditions. DuPont and his students are working with alloy manufacturer Special Metals to determine why welding causes a high-performance nickel alloy—used in advanced, ultra-supercritical coal-fired power plants—to lose 30 percent of its strength. This collaboration is funded by industry and the NSF as an Industry-University Cooperative Research Center (IUCRC) that includes four universities (Lehigh, Ohio State, Wisconsin-Madison and the Colorado School of Mines) and 32 supporting members from industry and national laboratories (Los Alamos and Oak Ridge). The partnership, called the Center for Integrative Materials Joining Science for Energy Applications, has doubled from 16 to 32 industrial partners in its first five years, says DuPont, who directs the center’s Lehigh site. DuPont’s group, led by Ph.D. candidate Dan Bechetti, is investigating the nickel alloy welding problem, utilizing Lehigh’s state-of-the-art electron microscopy and welding labs to understand changes to weld structure at the micro- and nanoscales. “Five or six theories could have explained what was happening to the alloy,” DuPont says. “Dan had to figure out which one was right. Now that we know, we can work on solutions.” The group published its findings in two articles in the journal Metallurgical and Materials Transactions. Much of additive and advanced manufacturing involves flowing polymers. Polymer flows form the basis for manufacturing via injection molding, but engineers do not yet fully understand what happens to molten material as it flows through conduits called runners, nor what the final properties of materials are once they form products. Industry typically hasn’t placed great importance on the runners, says John Coulter, professor of mechanical engineering and mechanics and associate dean for graduate studies and research. With NSF funding, Coulter and his students have explored a technique called melt rotation, which modifies shear strain rate patterns inside runners so that polymers flow more consistently and parts form with more uniform properties. The group is also researching hot runners, which keep material molten until it reaches product cavities in order to help reduce waste and boost efficiency. Once a part is formed, its properties can vary according to how the material’s molecules are oriented. A process called melt manipulation, which Coulter has explored with NSF funding, can control this orientation and influence a variety of parameters such as optical and mechanical properties, biodegradation and strength. “Two parts can look identical, but one—and we’ve seen this at Lehigh—can be 60 percent stronger if you manipulate its internal molecular orientation distribution, even though both parts are made of the same material,” Coulter says. This can be expanded to advanced additive manufacturing, which, he adds, can be thought of as 4D printing—with greater control over material properties being the fourth dimension. Coulter and Sabrina Jedlicka, assistant professor of materials science and engineering, are using these material variations to develop biodegradable scaffolds for growing tissue—a promising application for additive manufacturing. They’re also working with Xuanhong Cheng, associate professor of materials science and engineering, to develop plastic products with carefully designed micro- and nanoscale surfaces that could be used in medical devices such as virus-separation products and “smart” petri dishes tailored to grow specific cells and viruses. The scale-up of the nanomanufacturing is being addressed with partners at the Georgia Institute of Technology and the University of Puerto Rico at Mayagüez. The group is pursuing initial commercialization with NSF funding. In a similar project, associate professor Yaling Liu of mechanical engineering and mechanics, who directs Lehigh’s Bio-Nanomechanics Lab, is working with researchers from the University of Pennsylvania to create a chip etched with micro- and nanogrooves that selectively trap circulating tumor cells. Ray Pearson, professor of materials science and engineering, has been pursuing applications for polymer nanocomposites for 10 years with funding from NASA and the Semiconductor Research Corporation (SRC). NASA hopes nanocomposites can toughen fiber-reinforced composites in aerospace applications. SRC hopes they can toughen polymers in microelectronic packaging. Pearson directs Lehigh’s Center for Polymer Science and Engineering, which hosted its ninth annual SPE Polymer Nanocomposites Conference in October and included a session on nanocomposites for 3D printing. His introduction to additive manufacturing came in 2013 when Martin Harmer, professor of materials science and engineering and senior faculty adviser for engineering research initiatives, asked him to collaborate with 3D Systems in Langhorne, Pa. on a polyamide 12-based selective laser sintering (SLS) project. In a second RAMP project, Pearson is working with 3D Systems and Arkema, a global materials company based in France that is developing a new high-temperature polymer, polyetherketoneketone (PEKK), for aerospace applications. Pearson and Masashi Watanabe, associate professor of materials science and engineering and an electron microscopy expert, are attempting to improve the processing and mechanical properties of PEKK-based nanocomposites made of silicon nanoparticles. Graduate students Binay Patel, Samantha Tumolo and Yuanyuan Wang and undergrads Christina DiNapoli and Chris Watson are working on the project. America Makes and the Pennsylvania Department of Community and Economic Development are providing funding. Wojciech Misiolek, director of Lehigh’s Institute for Metal Forming and professor of materials science and engineering, has worked two decades in rapid prototyping and rapid tooling. Stephen Rock, his former Ph.D. student at Rensselaer Polytechnic Institute, where Misiolek worked before joining Lehigh’s faculty in 1997, published papers on freeform powder molding, a patented rapid prototyping technology. In the past decade, Misiolek has turned his attention to advanced manufacturing, using Lehigh’s scanning and transmission electron microscopes to gain an atomic-level understanding of the behavior of metals and alloys used in medical, energy and automotive applications. In one study, Misiolek and his students tested heat-treated anodic aluminum oxide as a possible material for a nanoporous and more-selective ceramic kidney dialysis filter. They reported their results in widely cited papers in the Journal of Membrane Science, the Journal of Materials Science and others. In a study utilizing additive manufacturing technology, Misiolek and Richard P. Vinci, director of the Center for Advanced Materials and Nanotechnology and professor of materials science and engineering, are attempting to verify a method for the customized mass production of inorganic medical implants. At TU Dortmund’s Institute for Forming Technologies and Lightweight Construction in Germany, where he has been Mercator Visiting Professor for four years, Misiolek has investigated new methods of recycling aluminum chips to improve aluminum recovery. His group found that special extrusion dies improved the metal’s mechanical properties by allowing more strain and shearing during metal flow. Misiolek has advised four TU Dortmund students, three of whom have received Ph.D.s. Misiolek has also worked with researchers in Colombia, Brazil, Norway, Australia and New Zealand. In a study for the USAMP consortium of the U.S. Department of Energy and U.S. automakers Ford, Fiat-Chrysler and GM, his group determined the optimal concentrations of cesium and zinc in a magnesium alloy proposed for use in lighter-weight (than aluminum) front-end car structures. The alloy improved magnesium’s ability to deform without compromising its strength or its ability to bear loads, a critical property for the geometrically complex shapes of auto parts. Currently, Misiolek’s group is working with TE Connectivity to determine if direct laser sintering/melting (DLS/M) processing techniques can complement or replace existing methods of fabricating copper conductors. Misiolek and Watanabe are co-principal investigators (PIs) on the project, which is supported by RAMP and includes Ph.D. candidates Anthony Ventura and Austin Wade. Lehigh is acquiring a DLS/M unit that uses computer-controlled high-powered laser energy to heat metal or ceramic powders and layer them progressively to create solid forms along multiple axes. PIs for the project are Misiolek; Harmer, a ceramics expert; and Sudhakar Neti, professor of mechanical engineering and mechanics and a heat-transfer expert. 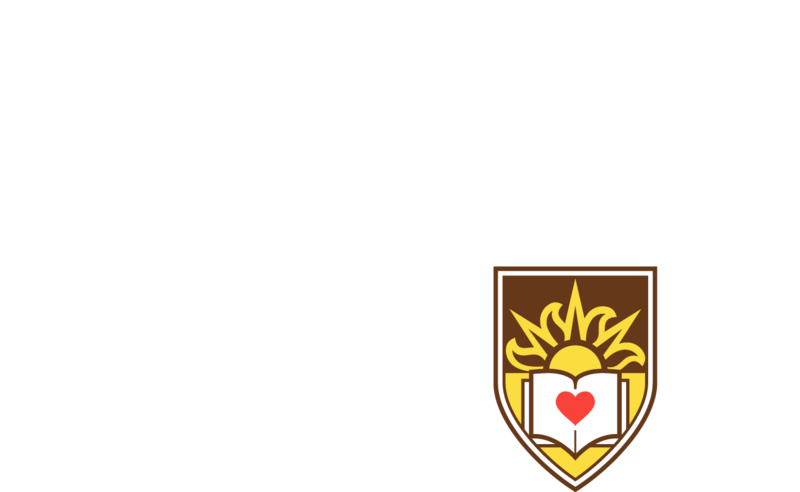 Funding from the Loewy Family Foundation allows Lehigh to host one or two visiting professors each year. Scaling up is also critical to coating technology, says Gilchrist. A product or part’s properties can be altered simply by coating it with microscopic layers of particles. Gilchrist’s group is working with electrical engineering professor Nelson Tansu, the Smith Family Endowed Director of the Center for Photonics and Nanoelectronics, to coat LED lights with particles that behave like tiny lenses. One method of applying particles to a coating is to dip the material that is being coated through an interface that deposits particles on a substrate. But what if the deposition could be done on a roll of material resembling the rolls of newsprint being inked at a printing plant? That’s the idea behind Gilchrist’s recent acquisition of an automated Langmuir-Blodgett apparatus. The device, one of only a few of its kind in the world, uses fluid mechanics to carry particles that self-organize on a moving carrier fluid like a conveyer belt. It has enabled Gilchrist’s group to deposit particles on coatings 100 to 1,000 times faster than would be possible using the dipping method. “This is a big deal,” Gilchrist says. “Every time I show the apparatus to industry or academia, they ask if they can use different particles, use different fluid or make it go faster. We’re working on all three. The Wilbur Powerhouse, which will house the DLS/M unit, has become Lehigh’s additive manufacturing center. Students from any academic department may use a range of tools, including eight MakerBot machines and eight similar new Ultimaker 2s. At first, Slocum was skeptical about providing a 3D printer to any student who wanted to use it. “I thought they’d be printing key chains and trivial things,” he says. The first MakerBot went into the Powerhouse lab with no fanfare or advertisement—only the machine and a sign saying it was available. “Within a week, just by word of mouth, there were lines to use it,” Slocum says—not for key chains, but for tests, prototypes and products for design and engineering classes. The same thing happened when he added a second machine. Wilbur Powerhouse also stocks a professional-grade FDM (fused deposition modeling) machine, a photopolymer deposition machine that makes stronger parts by curing high-resolution printed resins with ultraviolet light, and a full-color 3D printer that can produce multiple colors in a single object. Professors incorporate the machines into their classes. In Mechanical Behavior of Materials, taught by Vinci, students produce an imaginary replacement part for a Mars rover. They compete to find the strongest and most efficient design and to determine which printer technology and materials would prove most useful to astronauts on a repair mission. Additive manufacturing technology, says Slocum, removes the technical roadblocks to innovation. If a product didn’t turn out, students had to start the difficult fabrication process from scratch. Months could pass before a design became a finished prototype. In Manufacturing, a class taught by Dr. David Angstadt of mechanical engineering and mechanics, students use 3D printing to make tooling for injection molds that produce small metal racecars. “The mold wasn’t as strong as one traditionally made from aluminum or steel, but getting to an actual part was much faster and cheaper,” Slocum says. A YouTube video showing the result has generated calls from all over the country asking for more information. Thanks to the Powerhouse and to Lehigh’s numerous collaborations with industry, students gain the real-world experience and hard-to-find technical knowledge and skills that employers are increasingly seeking, says Slocum. "Because our students have access to a variety of additive technology tools, they will be better suited to understand all the new technologies, not just a few." "Additive manufacturing is moving at warp speed and there’s a lot of room to grow." A collaboration with industry is helping John Coulter's research group gain new insights into the effects of melt rotation techniques on polymer properties. Martin Harmer and Ray Pearson, professors of materials science and engineering, are evaluating the use of ceramic nanoparticles to enhance the mechanical and electrical properties of powder-based polymers that are used in selective laser sintering (SLS), a rapid 3D printing method. Researchers from Lehigh and the Technical University of Dortmund in Germany are investigating new methods of recycling aluminum chips to improve the economics of aluminum recovery. The group has found that the use of special extrusion dies improves the metal's mechanical properties. The Center for Integrative Materials Joining Science for Energy Applications seeks to extend the service lifetime of welds in the existing energy infrastructure and to increase the efficiency of the advanced welding materials used in new infrastructure. 3D Printing Industry magazine describes the emergence of 3D printing capabilities at Lehigh, with a video featuring Brian Slocum of the Wilbur Power House and Design Labs.